Airplane Earrings: Our 14K gold Skywriting Airplane Earrings are crafted after a Cessna or high wing airplane. These Airplane Earrings are called Skywriting because of the unusual shape of the wire. It reminded us of a trail of smoke that a skywriting airplane might leave in the sky. 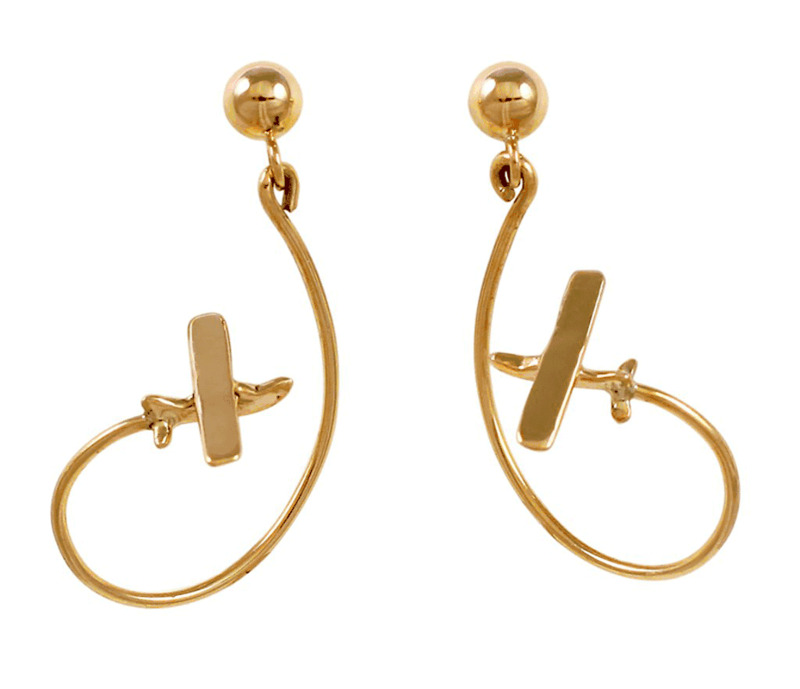 These elegant, unique, and creatively shaped, 14K gold earrings are sure to draw compliments from pilots and enthusiasts. And, they’re great fun to wear! Crafted in the USA, they measure about 1". ProsI like how they seem to move or swing as they are worn. I think my daughter will love them!! ConsThought it would be a bigger loop. The measurement was from the post, so the loop wasn't as big as I had expected. Fast shipping, excellent services and beautiful earrings.